Adding comments to community posts is very similar to adding comments to stories, except in posts everyone within your community will be able to read your comment. 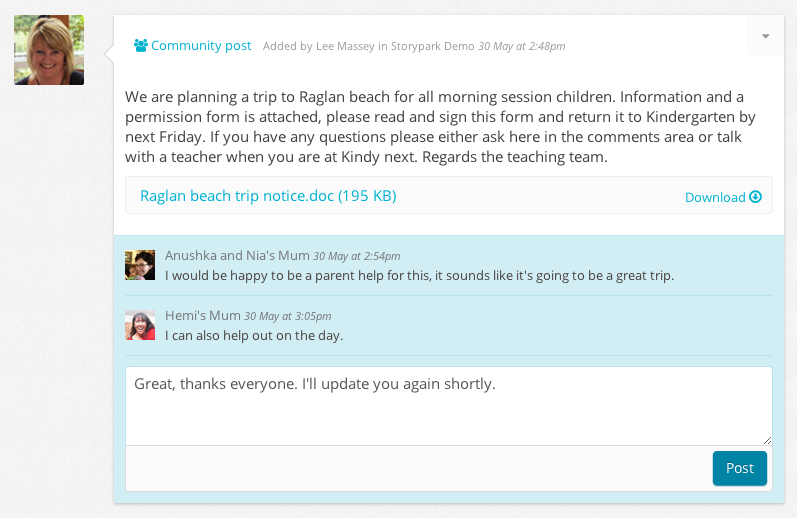 Go to your early learning service’s ‘Community’ page, find the community post you wish to comment on, and type directly into the text field that says ‘Write a comment…’. Once you’ve finished, click the ‘Post’ button and you’re comment will be published.